Belonging to PPPP, Ms. Sehar Kamran took oath as a Senator in March 2012. 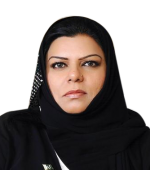 Presently, she holds the membership of following four committees of Senate, namely; Standing Committee on Defence, Standing Committee on Foreign Affairs, Standing Committee on Overseas Pakistanis and Human Resource Development and Functional Committee on Human Rights. The Senate of Pakistan strongly condemns the cruel and barbaric act of terrorism in Quetta on 8th August, 2016 and expresses deep sorrow over the killing of innocent people including the son of Senator Dr. Jehanzeb Jamaldini in the gruesome incident. The House shows sympathy with the bereaved families on this irreparable loss and prays that Allah Almighty may rest the departed souls in eternal peace and give courage to the families to bear this loss. The House calls upon the Government and law enforcing agencies to take all possible measures to eliminate terrorism from the country. The House urges upon the Government to take up the matter of involvement and sponsorship of terrorism in Pakistan by the foreign countries / agencies particularly India in the United Nations and other international fora. The House reiterates its commitment to continue its struggle to combat terrorism in the country and to support the international community in getting rid of this menace." The Senate of Pakistan places on record its deep sense of sorrow and grief over the barbaric and dastardly attack on Bacha Khan University Charsadda today, the 20th of January, 2016. This House expresses great grief and sorrow on the tragic helicopter crash in Naltar area of Gilgit in which 7 precious lives were lost including the Ambassador of Norway (H.E. Leif H Larsen) and Philippines (H.E. Dimingo D Lucenario Jr) along with wives of Ambassadors of Malaysia and Indonesia, two pilots of Pakistan Army Aviation Major Faisal, Major Altmash and one crew staff also received martyrdom in their efforts to save the lives of all others, while the envoys of Indonesia, Poland and Holland have been injured. The entire Pakistani nation is in the state of shock and mourning over this irreparable loss, the people of Pakistan stand with the people of Norway, Philippines, Poland, Holland, Indonesia and Malaysia in the difficult time. The members of the Senate of Pakistan equally share the grief with deep sorrow and offer our heartfelt condolence to the families of all those who lost their lives and also pray for the early and complete recovery of those who sustain injuries. The valuable contributions of the diplomats in promoting Pakistan’s relations with their respective countries will always be remembered. This House recommends that in acknowledgement of the services of diplomats who laid their lives while on duty and the valiant Pakistan Pilots & soldier who embraced martyrdom, the highest national honour shall be conferred on them.